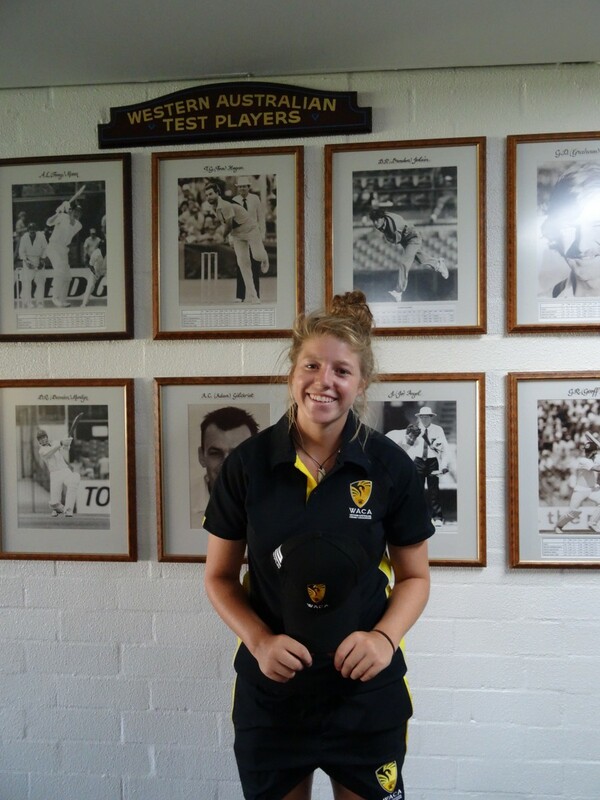 Cricketer Phoebe Vlahov competed for WA at the U18 National Championships in Canberra. With a young and inexperienced team the championships were always going to be a challenge for WA. “We had a few off days” said Phoebe “Some of the other teams had players who play in the Women’s Big Bash League” one of whom was awarded the player of the tournament. Although the team did not win a game they kept giving it their all and came very close to victory against Queensland. The match was drawn after regulation time and went into a “super over” where each team had received one over. Queensland capitalised better than WA and took the points. A key factor for Phoebe was trying to stay optimistic and helping the younger girls to keep striving. Phoebe bowled the most overs of any player for her team and despite some minor niggles continued to work hard until the end. The work has not stopped since returning home with a return to club cricket, moving house and starting a new job at the Nagle Catholic College all on the agenda for January. Phoebe is looking forward to making the most of the services provided by MWAS to support her through a busy 2016.